What’s Happening With B.C. Auto Insurance? - Parry Sound Insurance Brokers Ltd.
What’s Happening With B.C. Auto Insurance? • Comments Off on What’s Happening With B.C. Auto Insurance? Some of my Ontario readers might be wondering what is happening in B.C. and their auto insurance reforms. When the NDP government was formed, they inherited quite a mess. Auto insurance costs were rising rapidly and rates increases had not kept up. The previous government had also drained the public insurer, the Insurance Corporation of British Columbia (ICBC), of surplus funds from previous years. As a result, the ICBC was running losses in excess of $1 billion. The average premium in B.C. is now about $200 more than those in Ontario. Yes, it’s hard to believe that there could be a mess worse than Ontario. The ICBC has been unfairly painted the villain. The private insurance industry is trying to use B.C. as an example of how government-run insurance doesn’t work. That’s just not true. In this case, competition could not possibly resolve the province’s insurance problems. British Columbia is the only jurisdiction that still has a full tort system. In other words, their system is much like Ontario’s back in the 1980s with growing settlements and high legal costs.. The ICBC and B.C. government have determined that tort access needs to be restricted. Beginning April 1 of this year, there will be a minor injury cap of $5,500 for pain and suffering awards in B.C., similar to what a number of other Canadian jurisdiction have done. 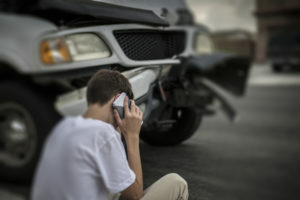 At the same time, no-fault accident benefit coverage will be expanded. B.C. is also updating how it calculates rates by providing discounts to safe drivers and penalizing those who cause accidents. A change that is long overdue. The ICBC expects to save about $1 billion dollars from these reforms. It will interesting to see if their no-fault model will work. If it doesn’t, the next step may be to eliminate tort altogether and design a pure-no-fault system. The post What’s Happening With B.C. Auto Insurance? appeared first on insBlogs.